These days you can get a brand new computer shipped directly to your house in a just a matter of days. The very first computer on the other hand, took 3 years to be built. 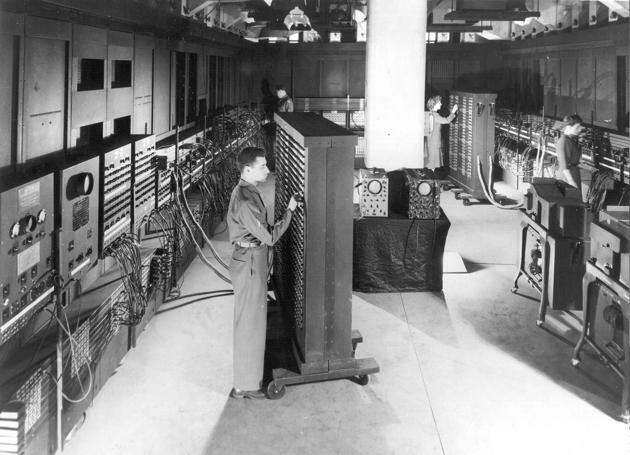 This week on Science on the Radio, Dr. Marvin Druger discusses the first electronic computer otherwise known as ENIAC. You can hear Science on the Radio Wednesday nights at 8:35 on WAER. Dr. Marvin Druger plugs us into a wealth of knowledge about the first electronic computer. This week on Science on the Radio Dr. Marvin Druger is talking Thermodynamics and specifically Entropy. Entropy is a measure of the degree of disorder in any isolated system, high Entropy means greater disorder. Hear Science on the Radio with Dr. Marvin Druger Wednesday evenings at 8:35 on WAER.